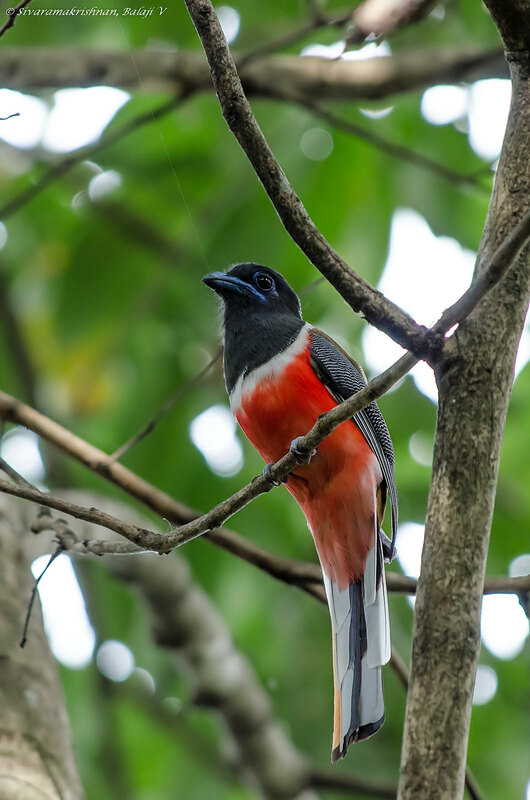 Male: The male has a slaty black head and breast with a white border to the black bib separating it from the crimson on the underside. The back is olive-brown to chestnut. The wing coverts are black with fine white vermiculations. Female: The female lacks the contrasting black and crimson and has only a slightly darker head and breast that shades into the olive brown on the back while the crimson of the underside of the male is replaced by ochre.